Unless you’re in healthcare, I don’t think a lot of people understand what it’s like for the first time to come across reading a patient’s chart. 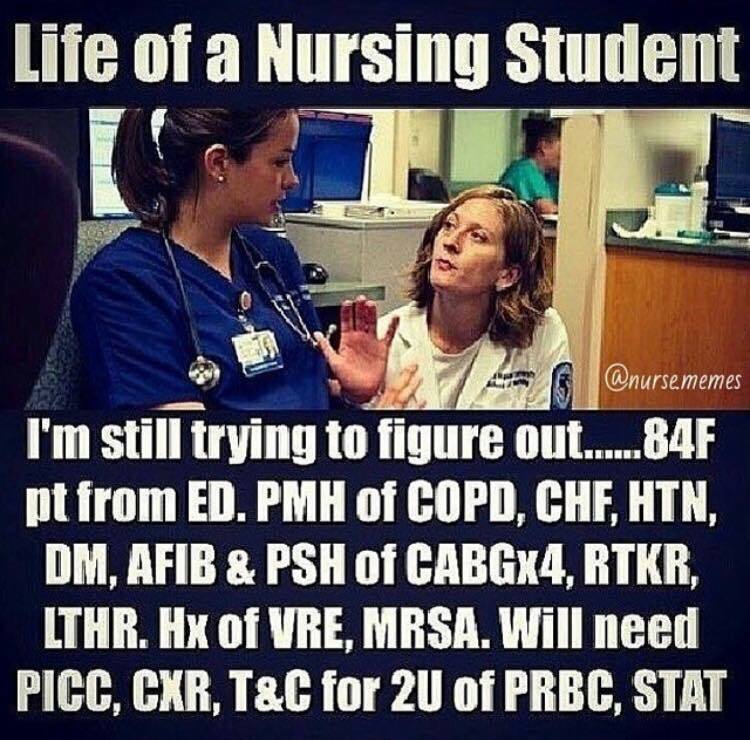 I’ve never related to something so much, it’s crazy how far i’ve come along though in being able to decipher much of the medical lingo that is used by the healthcare team. Being the newbie in the unit can be incredibly intimidating, particularly when you come across new orders that are quickly scribbled on top of having to navigate the abbreviations. Being in general medicine, I come across a lot of these conditions and terminology when i’m reading up on my patients medical and surgical history. I remember feeling incredibly intimidated not understanding what I was reading or what the abbreviations stood for. It’s really like learning a new language at times. 3 to 4 months ago I wouldn’t have understood how to read all of this, but now having consistently come across and forcing myself to familiarize myself with the terms, I feel kind of excited. In layman’s terms, this patients has an extensive health history and is not doing so well. Don’t get me wrong, this is just a small sliver, but it feels great to be able to see that slowly my growth as a new nurse is coming together on some level. This obviously doesn’t include the understanding the patient’s medications or lab work, which is also going to be a long road to navigate and understand. Let alone understanding the interventions that would be used for this patient. 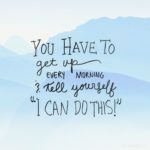 By MegsIn Notes from the BedsideTagged blog, healthcare, medicine, nurse, nursing school, nursing student1 Comment on The Newbie. Previous Previous post: Finding the Light. Next Next post: 9 Easy Stretches to Release Lower Back and Hip Pain.